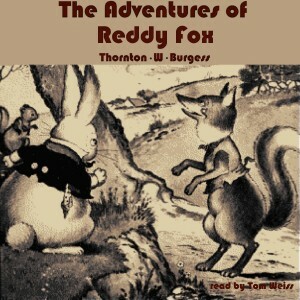 The Adventures of Reddy Fox is another in the series of children’s stories by conservationist Thornton W. Burgess. Told by Tom Weiss, Reddy and Granny Fox must outsmart Farmer Brown’s Boy who is out to get Reddy for stealing his pet chicken. Along the way, Reddy encounters many of the citizens of the Green Meadows and the Green Forest and with him we learn little lessons about life such as: the perils of being a show off; the importance of using all of one’s senses; that it is a fine thing to show sympathy and kindness to others – even our enemies; and that the value of a grandmother’s wisdom is inestimable.